Budapest packs a lot of fun. There is no better way to experience this mesmerizing town than in one of our luxurious vehicles. TRAVEL is Personal. Entrust Your Trip to Someone Who Takes the Time to Ask about Your Dreams. Extraordinary travel experiences require highly personalized service. Let us delete the word "complicated" from your itinerary. 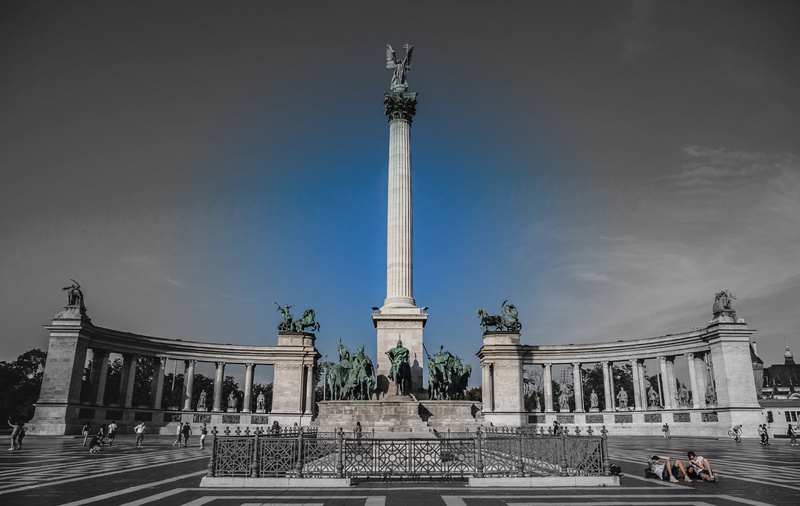 WE AT FABRI TOURS BUDAPEST BELIEVE THAT OUR GUESTS DO NOT TAKE OUR TRIPS, BUT OUR TRIPS WILL TAKE OUR GUESTS. 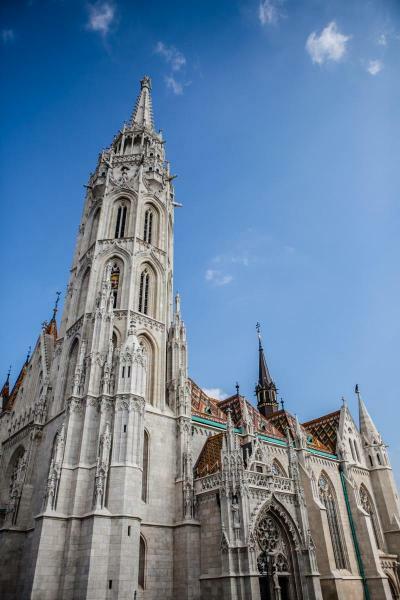 Fabri Tours Budapest is a privately owned destination and event management company located in Budapest, Hungary. Regardless of group size, we care for all corporate or incentive requests and make sure to provide a customized program with the best suitable hotels, meals, activities, and transportation. 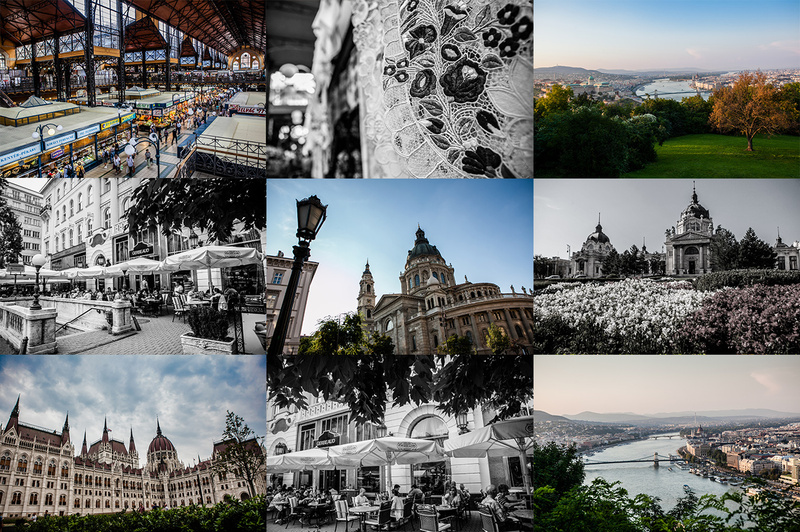 Whether you are pursuing a business opportunity, or seeing the sights – whether your passion is first class cuisine, culture, or quality entertainment – We are sure that you will find that Budapest, with it’s inexhaustible supply of programs, will exceed your expectations. Budapest packs a lot of fun. There is no better way to experience this mesmerizing town than in one of our luxurious vehicles. For over two decades, Fabri Limousine has provided posh rides for celebrities, corporate executives and government officials. But we do maintain very competitive prices, which means that you don't have to be a spendthrift to live like one! At Fabri Limousine Service, as your transportation experts, we can give you a ride both classy and affordable. We specialize in speedy service. With Fabri Limo, there's no lost time. We arrive promptly and take you to your destination in superior comfort. All vehicles are fully equipped with a whole range of amenities to suit your every taste. We're on the job 24/7, and your ride is always ready when you are. With Fabri Limo, you will always get elegant transportation at a friendly price. With our customized rides, you never have to worry about directions. Your personal chauffeur has everything covered. So just hop in, kick back and relax with a drink. It is your day in the sun. You'll be whisked off to your destination and taken. That is elegant door-to-door service, so forget about parking lots and valet parking. With Fabri Limousine, you simply arrive in style. 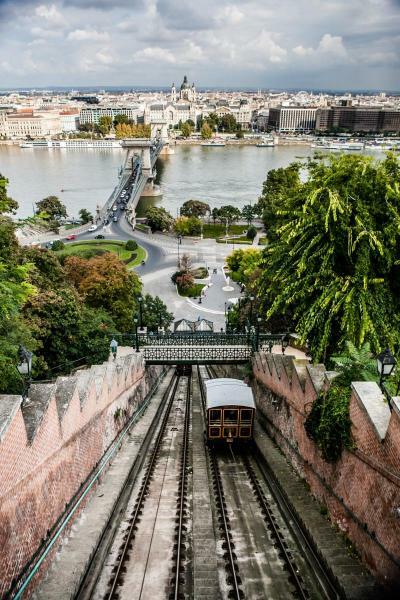 Whether you need to be picked up at the Budapest Airport or fancy a scenic ride around town. 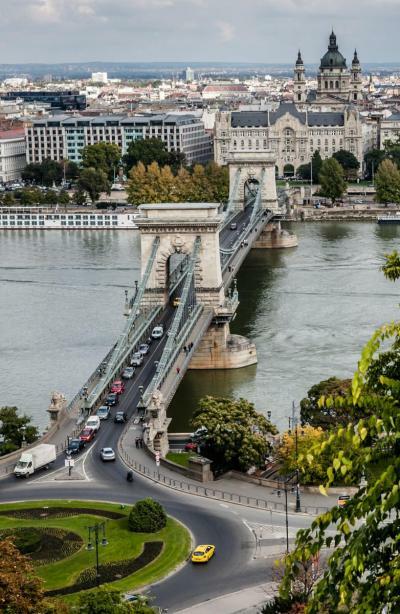 We've worked hard to build our Budapest limousine company, and we've flourished in a very competitive market. Our reputation speaks for itself. We've been serving our customers since 1991, and we've worked hard to the finest service available and insure that our clients always return. Today, we're one of the top limousine services in Budapest because of three things: We deliver what we promise, we outperform the competition and we keep our prices affordable. 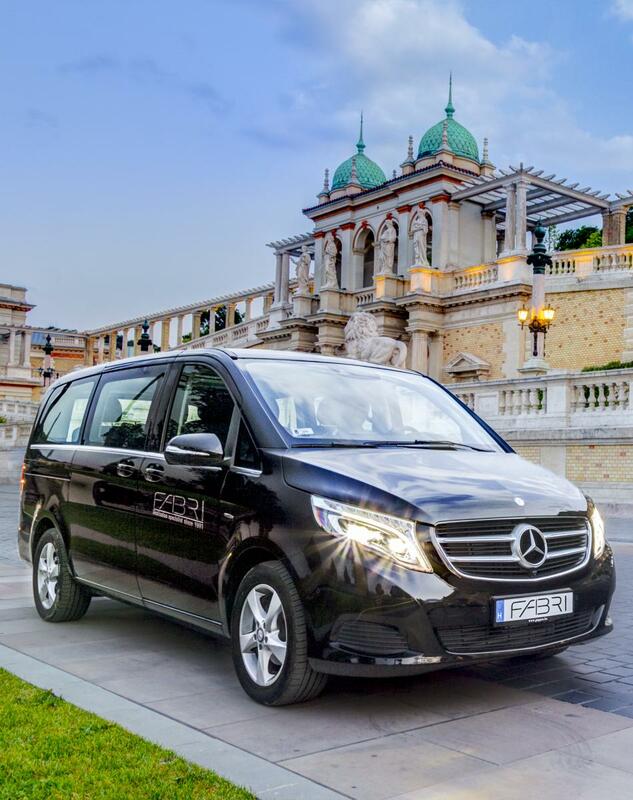 Fabri Limousine provides Budapest visitors and residents with the best luxury transportation services in the whole country. Our large selection of luxury sedans, mini vans and luxury buses are available for every sort of event, ranging from corporate business events to wedding parties and even crazy nights out on the town. If you want the best, contact Fabri Limousine for your next special event! 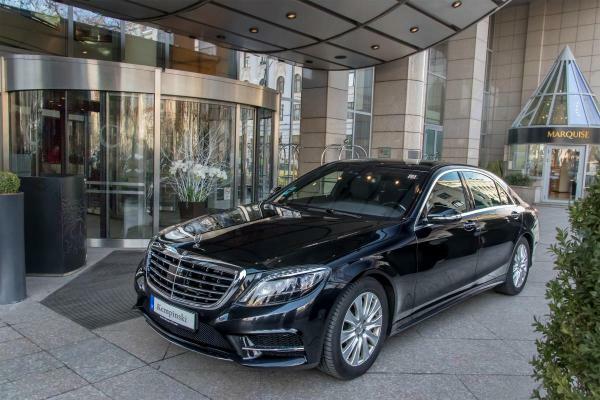 Fabri Limousine airport transportation is available for pick-up and drop-off at Budapest, Vienna and Bucharest International Airports 24/7. Fabri Limousine provides transportation services to arrange your trip to and from business meetings and corporate events. Our luxury sedans and town cars are the perfect choice for such occasions. 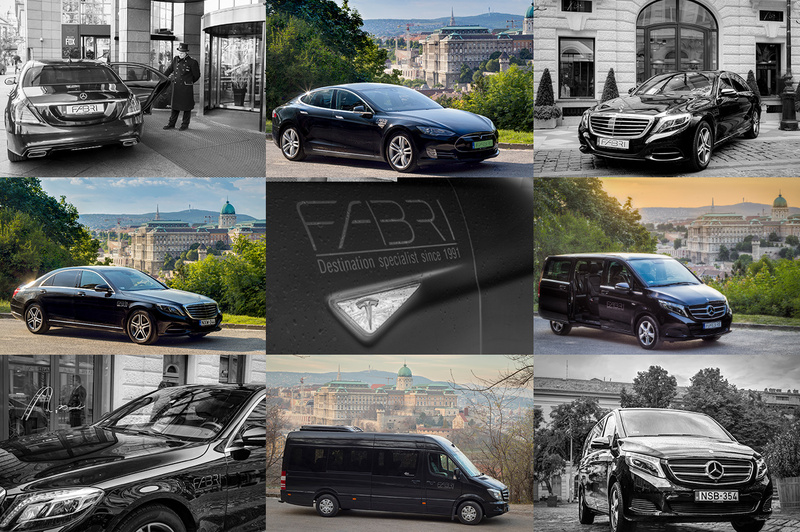 The services offered by Fabri Limousine in the Budapest area are designed to make every occasion a special one. Choose our limousines and luxury buses for the perfect way to enjoy a special night out with your friends and family. Let us take the time to get to know you. Then we can help determine what you desire and find the perfect way to realize your wishes. FABRI professionals draw on years of experience to provide you with the best support possible. Delivering the TOP LEVEL of Personal Service. Extraordinary travel experiences require highly personalized service. Let us delete the word "complicated" from your itinerary. Our travel experts will design a memorable trip that meets your strict standards. CONCIERGE Service at Your Fingertips. Restaurant reservations. Premium car service. Helpful concierge service. All this is tailor-cut to your lifestyle and only a call, text or email away. FABRI24. When Voice Mail is Not An Option. We Have Your Back Covered. No Matter Where or When. Last minute changes don’t always correspond to standard office hours. When you need an answer immediately, FABRI24 is there for you. Around the clock and around the world. 24/7 access to a FABRI professionals to help out when life’s emergencies arise. Use the same number, anywhere in the world. Your call will be routed to a FABRI agent, not a secondary service. In times of need, we add agents to ensure that your call gets answered. 24/7 access to help you solve your every need. Travel can be unpredictable. When the best of plans go astray, we’re available, around the clock and around the world. Our services include a full range of support, with an eye to the smallest detail, all with our esteemed guests in mind. We carefully handle logistics, arrange private guides, or procure entrance tickets to premier venues and events. Each of our programs are designed individually for our guests. Sharing our secrets. We know Hungary & Central Europe inside and out and can provide entry to extraordinary venues & events that are rarely seen in the guide books. Fabri Tours has been delivering premium events for a range of International clients over the last 25 years. From corporate affairs and big events to family birthday parties, we have the relationships and suppliers in place to create a compelling experience for you. Providing assistance to our guests is our top priority, whether that is arranging a restaurant booking, sourcing event tickets or providing top-notch shopping advice! Our expert team can accommodate large group requirements, whether a multi-generational family holiday, corporate conference or incentive program. Business Travel Focus. Expertise Without Parallel. Personalized Approach to Make Your Journey Run Smoothly. Our European network increases the efficiency of our service. Our negotiated supplier discounts help reduce your costs. The Travel Policy consultation and Budget Management we provide brings you the results you want. We go the extra mile to make sure your journey turns out perfect. Superior Entertainment Expertise. When “good enough” isn’t enough. Contract negotiations for every aspect of travel and logistics. Budget assistance during pre-production. Hotel contracts for crew and celebs. Furnished apartments and home rentals. All types of vehicle rentals. Car Service. Meet and greet services including airport concierge. Life on the Road can be Tough. We'll take over the Details. We understand the flexibility and committment that’s needed. We can boast over two decades of experience with touring parties. We have close relationships with the travel vendors you use. Our superior service and benefits are there for you when you need them. Now, not later. Not Just a Travel Agency. An Extension of Your Team. You need a team that has your every need covered. A team that has the know-how to get things done. No matter what time of day or night. No matter where in the world. We don’t just handle your touring. We are an extension of your team. Coordinating Travel Details. Much more than the Flights. We arrange the arrival of touring parties. Coordinate their contact and meeting. Negotiate housing contracts. Locate bus parking friendly hotels. Set up greeters. Put in place decoys for back-door arrivals. Navigate ground transport. Organize everything in one central location. It’s all about making the tour manager’s life easier…as far as the travel goes at least. Your Entertainment Housing Needs. Our Customized Approach. We are the Exclusive Entertainment Housing Specialists. Our Entertainment Housing division offers a customized approach to your housing needs. No two productions are the same. Each have their unique needs. This is our philosophy. And we’ll deliver. A Variety of Choices. Good for All Budgets. We offer a wide variety of housing to choose from – including lofts, penthouses, bungalows, furnished apartments and furnished homes. All budget levels are out there. No minimum stay is required. Many of our properties offer grocery shopping, meeting facilities, fitness center, maid service and an indoor pool, just to name a few. Providing the Utmost in Personal Service. Single point of contact. 24/7 accessibility. Competitive prices on charters, buses and freight. Every aspect of travel carefully thought through. Hotel negotiating points. Multiple hotel options. And much more. Life on the road is taxing. That's why we go the extra mile for you. With the FABRI Hotel Collection You’ll Sleep Better. Priority rates and top of the line amenities at the finest properties. Bringing you the VIP treatment you love. The most prestigious properties in the world are part of the FABRI Hotel Collection. Each one offers exclusive amenities, like breakfast daily, room upgrades, early check-in and late checkout. Includes also special amenities for our guests and designed individually for each property. We’re Recognized, and so are You. Hotel Options. Just the Right Choice for Your Needs and Budget. Hotel Negotiating Points. More Than Just About Lowering Room Rates. Negotiating rates for you is just the beginning. Throw in complimentary rooms. Complimentary upgrades. Complimentary high-speed internet. Complimentary breakfast. Discounted or free parking for every category of vehicle. No package delivery fees. And much more. With an eye on YOUR savings everywhere.